Under Mao Zedong (1893 – 1976), China suffered after he became its leader in 1949, but that isn’t the whole story. During Mao’s Great Leap Forward; what’s known as Mao’s Great Famine (1958 – 62), and the Cultural Revolution, millions died from starvation and purges. What we don’t hear is that China is known as the land of famines. Imperial records show that China has had droughts and famines in one or more of its provinces annually for more than two-thousand years, but there is no mention of the fact that there has not been any famines since the last one in 1962. In addition, when Mao came to power in 1949, the average lifespan in China was 35. When Mao died, the average lifespan was in the 50s and today it’s in the 70s. Deng Xiaoping was right. Bruce Einhom writing for Business Week, Countries in the Biggest Gaps Between Rich and Poor, October 16, 2009, listed the top countries with the biggest gaps. America was number #3 on the list. China wasn’t on the list. What does capitalism, Chinese style, look like? Under Deng Xiaoping’s economic policies, China became the world’s factory floor. Prior to 1979, the year China opened its doors to world trade, it was rare to find anything made in China. 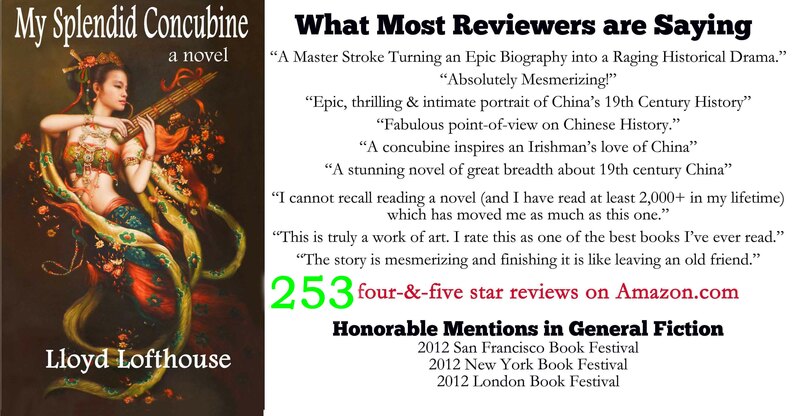 In the last thirty years, something happened that Mao thought he had destroyed. China grew a consumer middle class and that growth hasn’t finished. During a trip to China in 2008, we saw the Chinese middle class everywhere we went. Instead of the majority of tourists being foreigners, they were Chinese traveling to discover their own country. In the first 122 pages of Country Driving, Peter Hessler sets out to drive the entire length of the Great Wall in a rented Chinese made Jeep Cherokee, and he achieves his goal. In this section, I learned that the Wall was successful most of the time and not the failure historians claim it was. Yes, in several thousand years, the wall failed a few times but it served its purpose and did protect China’s heartland for centuries. Hessler says that there is no archaeologist in the world that has studied the history of the Great Wall but he wrote that there are amateur experts, and we meet a few in this section along with a unique view of rural China. In Part II, Hessler takes us into a small village a few hours drive outside Beijing where he rents a house and becomes accepted by the insular-rural village community. Along the way, he makes friends and becomes involved personally with local families. The man that becomes his closest contact and friend in the village eventually joins the Chinese Communist Party (there are about 80 million CCP members in China) and uses this to his advantage as he continues to improve the quality of his family’s lifestyle. In Part III, Hessler travels to the city of Winzhou in Southern China where he spends time developing relationships with factory bosses and workers. In this section, the Chinese people he meets are open and friendly. Hessler sees a side of China that few witness, and it is obvious that the factory workers are not victims because of low pay and long work hours. Instead, they see this new life as an opportunity. When I finished Hessler’s memoir, I walked away feeling as if I had experienced an in-depth taste of the dramatic changes that have taken place in China since Mao’s death in 1976. Since China’s critics mostly focus on the negative, which is the corruption and/or authoritarian one-party system, and never admit the good that the CCP has accomplished, most people would not understand what I discovered. To understand what I mean, one must compare China before 1949, by reading such books like those written by Hessler and his wife. Before 1949, more than 90% of the people in China lived in severe poverty, more than 80% were illiterate, the average lifespan was 35, few people owned land, and the risk of death from famine had been an annual threat for more than two thousand years. In fact, most rural Chinese were treated as if they were beasts of burden and not humans. Today, according to the CIA Factbook, about 6.1% of Chinese live in severe poverty (living on $400 or less annually), and they mostly live in remote, rugged, and difficult to reach areas of China. The average lifespan is now 75.4 years and Helen H. Wang writing for Forbes.com (February 2011) reported that China’s middle class is already larger than the entire population of the United States and is expected to reach 800 million in by 2026. In addition, no one has died of famine since 1959-1961. I highly recommend Country Living for anyone that wants to learn more about today’s dramatically changing China from an unbiased and honest perspective. I’ve been in the Number One Shanghai department store off Nanjing road and seen Chinese consumers taking TV’s from the box to insure they work. Recently, a friend who was visiting us from China was up early in the morning walking to the Apple Store, a thirty-minute walk from our house. To buy an iPad or iPhone in America, she was willing to get up that early and wait in line for several hours until the store opened to buy this new Apple product. And she didn’t buy just one. Her coworkers and friends in China gave her enough money to buy several Apple products that were all assembled in China but sold in the U.S. When I asked her why not buy the iPad at one of the official Apple Stores in Beijing or Shanghai, she said if you buy something in the U.S. even if it’s made in China, the buyer can be assured of the quality. There is some truth to that. My father-in-law’s wife arrived several years ago with a new camera she bought in China, and it stopped working the first week she was here so she bought an expensive Sony at Costco and loved it because it worked just as promised and kept on working. It would seem that Chinese manufacturers have a long way to go to earn the trust of the Chinese consumer. Meanwhile, 109 million Chinese tourists left China in 2014 and many bought “Made in China” outside of China and spend more than any other foreign travelers at an average of $7,200 each visit to the U.S. They also buy “Made in the USA” and products made in other countries. Don’t let this blow your mind, but last week I saw a busload of Chinese tourists shopping at the Costco closest to our house. It seems that even Costco is a tourist destination and Chinese tourists buy everything even filling up shopping carts with vitamins. Next time you hear an ignorant American complaining about China stealing jobs from the U.S., tell them how many jobs they are generating in the U.S. and how much money they are spending here, and that the U.S. is now issuing more visas for Chinese citizens for longer periods of time. Whitehouse.gov says, “In 2013, 1.8 million Chinese travelers visited the United States, contributing $21.1 billion to the U.S. economy and supporting more than 109,000 American jobs.” And it is estimated that by 2021, Chinese travelers to the U.S. will be supporting 440,000 U.S. jobs. 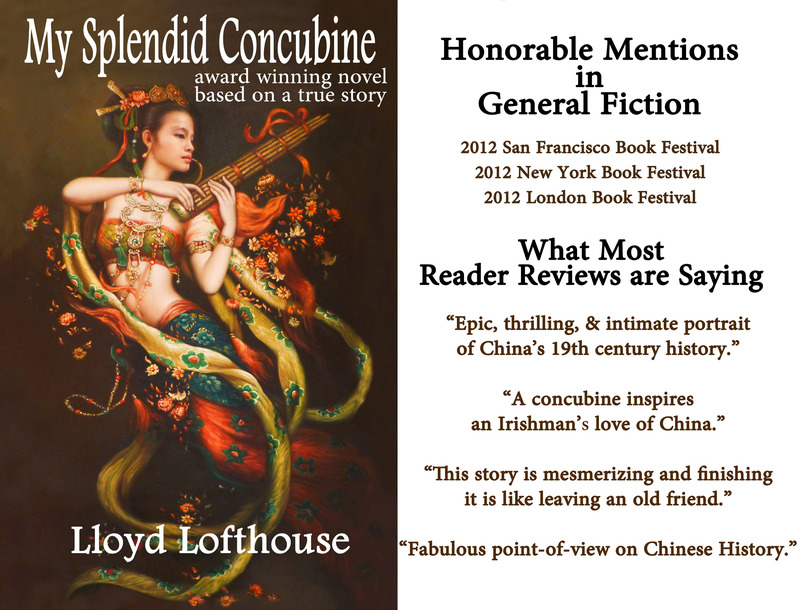 Lloyd Lofthouse is the award-winning author of My Splendid Concubine [3rd edition], a historical fiction novel with a unique love story that is set in 19th century China. 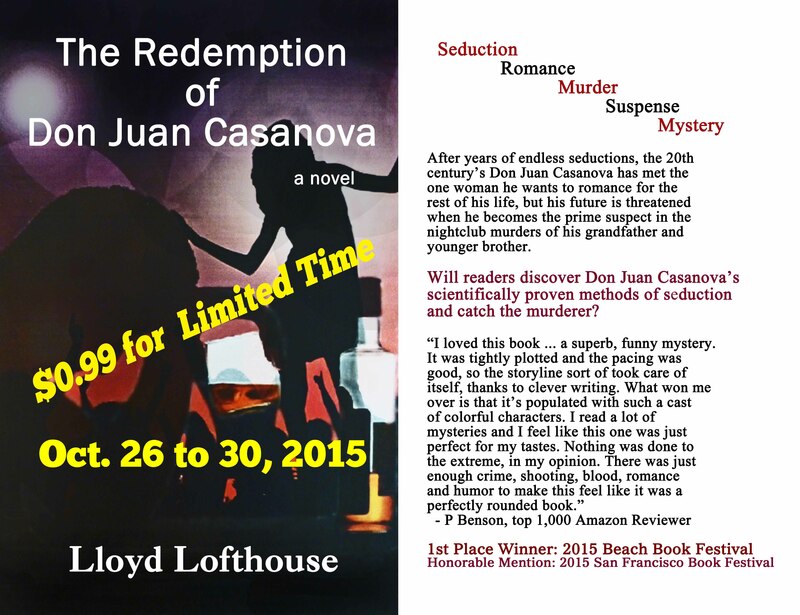 His latest book, a suspense thriller set in the world that Lloyd worked in as a maitre d’ in the early 1980s, is going on sale for $0.99, a savings of 75% below regular price. There is another reason why many Chinese tourists buy “Made in China” in other countries. While my Chinese father-in-law and his wife were visiting in the U.S. I learned why Chinese buy here — quality. If you read the China Law Blog, you may know that in China there are several levels of quality that do not exist in the U.S. When buying anything in China, there is always a risk you might end up buying a fake or the real thing but of a lower quality. In fact, there is no way to tell what level of quality you are buying when in China. That doesn’t mean “Made in China” is always of a poor quality. The language of the contract between the foreign buyer such as Apple and the Chinese manufacturer is important. If the contract between a U.S. corporation and a Chinese manufacturer specifics the quality, that’s what’s usually delivered to be shipped to the U.S. If the product is of a poor quality, then blame it on the contract the CEO of a U.S. corporation signed. And most of the products Apple sells globally are assembled in China and many are manufactured there too (Apple has manufacturing facilities spread around the world but assembles most of its expensive electronic items such as the iPad in China). Continued in Part 2 on October 21, 2015. 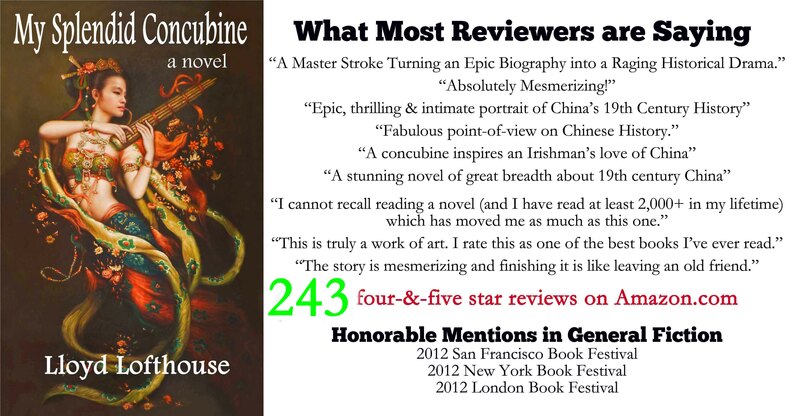 The Imperial Color was yellow gold and the roofs of the Forbidden City were the same color. During imperial times, anyone wearing the imperial color, who did not belong to China’s ruling family, usually lost their heads. Now, China is having a gold rush and holds more than a thousand tonnes of Gold as of June 2010, while gold demand from China’s middle class has grown 13 percent annually for the last five years. As you can see from this Sky News video, Chinese are gobbling up gold as fast as they can regardless of the price. To them, it is an investment and the Central Bank of China is quietly buying gold to build reserves. China is now the world’s largest producer of gold. Frank Homes writing for Wall Street Pit, Global Market Insight, says China can’t get enough gold and state-controlled China National Gold Group signed an agreement with Kensington Mine in Alaska to buy more. In fact, Pacific Money.com says, “China’s society is changing beyond all recognition. At the heart of the most sweeping social and economic transformation the world has seen is the rise of a powerful new largely middle-class population. In 2000, only 4% of China’s urban households were middle class; by 2012, that number skyrocketed to more than 66%. You are currently browsing the archives for the Chinese middle class category.